That SLR was built by RML anyway wasn't it? Nowt to do with McLaren. Dug out an old McLaren thread with the announcement of the new P1. The spiritual successor to the F1. Yuhk. The whole thing just looks all wrong. Horrific. 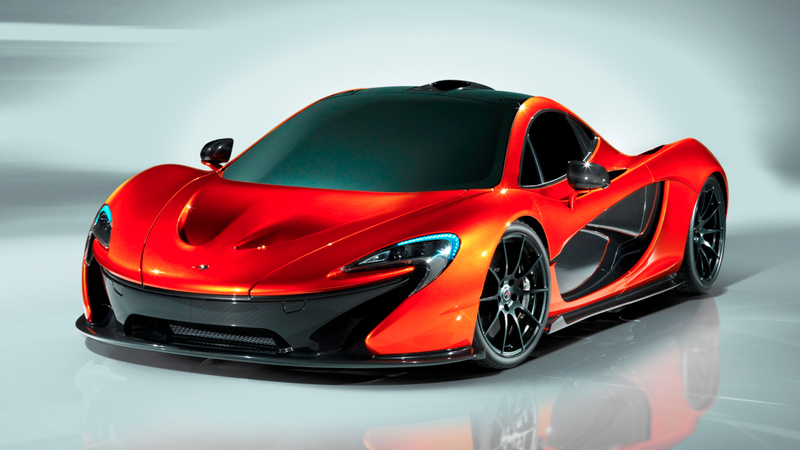 P1 could also be a reference to a future Le Mans project . The F1 was supposed to be F1 technologies put in a road car. Perhaps the P1 is the same, just reversed. That thing will never race, I'm sure of it. They have to downgrade it massively, that thing has 1000hp and KERS. It doesn't seem logic at all to downgrade that, just for racing. How many road cars do you know with similar hp figures that were turned into race cars? Exactly, none. McLaren will continue racing with the MP4-12C. If the Le Mans rules ever got opened out a bit it would be amazing to see this thing. Or a hybrid supercar 'GTLM' class or something similar. Eye of the beholder Bob - I think it's absolutely glorious. There is nothing stopping Mclaren using the engine in a 2014 LMP car, as they can do what they want with engine displacement, as long as it doesn't use too much fuel. P1 won't be raced. No point. Doesn't look anything like a Vette DP. Maybe the canopy shape and width, but it's aerodynamics probably put the DP to shame. This ISN'T the final car (it's called a design study). So it may look different in some ways when it's in production.